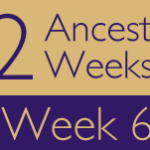 Posted in 52 Ancestors Challenge on March 26, 2014 by Amy Johnson Crow. 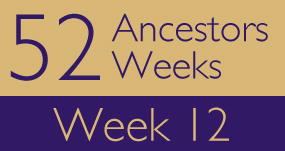 Week 12 of the 52 Ancestors in 52 Weeks Challenge. March Madness — it’s not just for basketball anymore! Juli at Life in the Past Lane shared an awesome photo of her great-grandfather. Dave wondered about his ancestor’s sister who stayed behind in Ireland. Deborah asked if she was related to Albert Einstein — and came up with a couple of interesting answers. My contribution was about my 4th-great-grandmother Elizabeth Peden Ramsey who was not a hidden woman. 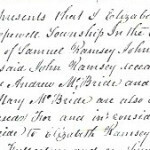 BAYNHAM – “Emma Baynham Born Reding, Berkshire 1845” by Kirsty Gray on Family Wise Ltd.
DREIER – “Kunigunde Dreier” by Beth Gatlin on So Many Ancestors! GRAHAM – “John C. Graham, and Celebrating My Family’s Irish Heritage” by Tim Graham on Photo Restorations by Tim G.
JOLLETT – “Elizabeth Jollett King” by Wendy on Jollett Etc. ROSSMAN – “Anton Rossman” by Joanne Clyde on Do You Know the Muffin Man? SAMPLE – “Roxie Anna Hughes (1876-1961)” by Daniel Sample on Where Were They Then? 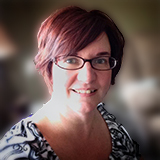 SCALETTI – “Sorrelona Angeline Butera, Big Sister” by Tim Graham on Photo Restorations by Tim G.
SWANSON – “Beryl Imogene Swanson and Some Not-So-Wonderful South Dakota Memories” by dgfamilyhistorian on I’m Proud to Be the Family Historian! I look forward to these weekly recaps. I like to scroll down th esurnames & look for possible connections. I also like to see what others are posting for 52 Weeks. Thanks for taking on this project! Have posted another blog to Skeletons In The Closet called The Elusive Mary.